Needleworks USA offers the Best Custom Embroidery Service for western apparel, custom patches, and equestrian embroidery. We offer custom embroidery with personalized service to western apparel and equestrian businesses, retailers, and individuals. Custom Artwork Digitizing of your logo and designs. Personalized monogramming of names on jackets, shirts, vests, hats, and blankets. We have hundreds of copyright-free western and equestrian designs. We can use your custom logo design or our apparel designs and equestrian logos. We work with business owners, retail stores, ranch owners, farms, horse owners, marketing departments, and western wear stores. We are very flexible in meeting your needs and budget. No order is too small! Fast Personalized service. We service global brands, local brands, and the snow sport industry throughout the entire Nationwide United States. Colorado businesses and Colorado retailers in Aspen, Beaver Creek, Boulder, Breckenridge, Colorado Springs, Copper Mountain, Denver, Durango, Estes Park, Fort Collins, Glenwood Springs, Grand Junction, Greeley, Gunnison, Longmont, Loveland, Pagosa Springs, Pueblo, Silverton, Telluride, Thornton, Vail, and Westminster, Colorado. Serving Wyoming Towns of Casper, Cheyenne, Rawlins, Laramie, Gillette, Sheridan, Jackson Hole, and Rock Springs. Our custom Western Apparel embroidery is beautiful. It's Easy To Order Embroidered Western Clothing Online. 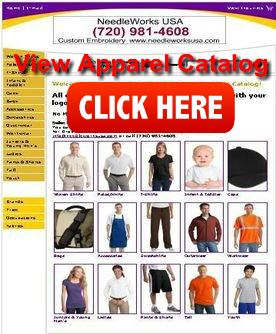 Click Image to view hundreds of clothing styles, colors and sizes that can be embroidered with your logo or custom design. Purchase Embroidered Western Clothing Online. Select, Order and have your embroidered Western Clothing shipped to the trade show, your home, office, or Nationwide fulfillment. Email Us to obtain embroidery quotation. Whether you are shopping for Western Apparel Embroidery, Equestrian embroidered items, staff clothing, a personalized guest gift, or a custom patch, we do custom embroidery for... Businesses , Retailers, Hotels, Resorts, Ranches, Convention Centers, Stadiums, Clubs, Associations, Golf Tournaments, Special Events, Individuals, and Fulfillment Programs. Western Apparel and Equestrian Embroidery by Needleworks USA is provided exclusively on a personalized custom basis. Our pricing is customized to the individual job and is a combination of order size, amount of stitching required per piece and whether we are supplying the garments that will be used in the process. We use very reputable high quality clothing suppliers or we will embroidered on your clothing line. Our computerized embroidery produces the finest detailed embroidery. We choose only the finest of threads to produce a professional look and feel. Logo digitizing is available for your custom artwork, or we can use one of the many available copyright-free designs combined with your message. 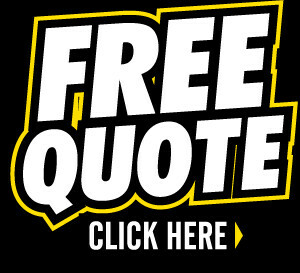 We will be happy to provide a quote for your embroidery job. You can email your design along with project and contact information to: info@needleworksusa.com Please include your telephone number so we can contact you in case we have any questions about your requirements. Do you have an event or new product you want to promote? We have affordable custom embroidery and custom patches for every occasion! Needleworks USA, a Colorado Woman-owned Business. Serving the entire United States Nationwide and the Colorado Western Apparel and Equestrian Retailers of Aspen, Aurora, Beaver Creek, Boulder, Breckenridge, Castle Rock, Centennial, Colorado Springs, Copper Mountain, Denver, Durango, Estes Park, Fort Collins, Glenwood Springs, Grand Junction, Greeley, Gunnison, Highlands Ranch, Lakewood, Littleton, Longmont, Loveland, Pagosa Springs, Pueblo, Silverton, Telluride, Thornton, Vail, and Westminster, Colorado. Serving Wyoming Towns of Casper, Cheyenne, Rawlins, Laramie, Gillette, Sheridan, Jackson Hole, and Rock Springs. Disclaimer: Needleworks USA is an independent embroidery company servicing the western apparel and equestrian industry. 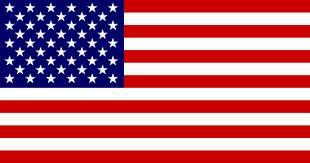 Needleworks USA is not affiliated with the Western & English Sales Association (WESA).